There are times when we are looking for that perfect look for a photo, “that tinting that just finishes the job” so to say. In the past we chose the film roll before the shoot and the film roll was chosen for the look we wanted. With digital we have the unique option to choose the film roll after the shoot. Over the years I’ve tested many solutions and at the moment I’m mostly using, Alien Skin Exposure, DxO Fil. mpack and Capture One. All these plugins/programs have the option for custom presets, because let’s be honest, the standard presets often look nice but they do need some tweaking to make it “personal“. I get a lot of questions about what presets I use, if I want to share them, how to create them etc. And now it’s finally possible to create the same looks that I’m using in my retouching. With these preset packs you get all the presets I use, no “light” versions, or versions that are “slightly” different from what I use…. no this is the real deal, run them as they are. There are some tips however I do have to share. Although most of the times I will use the presets as they are in the preset packages I often also run them on a separate layer and slightly change the opacity of that layer. You will also find that in most presets there is no “noise” added, this I will add per shot depending on the camera I’m using and the look I want. But that’s about it…. these presets will give you a lot to choose from and new creative options to build your own presets from. Enjoy the presets as they are, or (even better) create your own presets with these as a base. Luminar is an incredible software package, I always call it my “build to order plugin” because you can literally build your own plugin which normally would mean running 3-4 plugins. I love it and it has become a major part in my worflow, so that’s why I’ve created several looks for it. You can get them here. My preset pack for Capture One, includes 79 presets. Remember to first run a look and than adjust, not the other way around. My preset pack from DxO, includes 40 presets. My preset pack from Alien Skin exposure, includes over 100 presets. 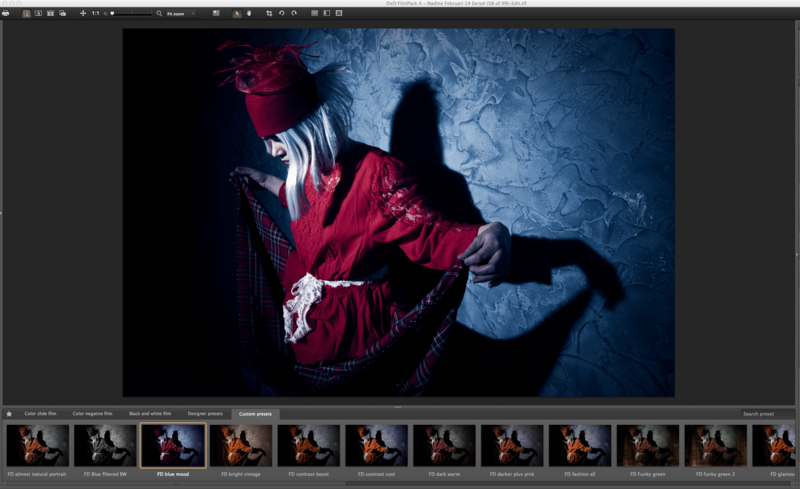 My preset pack from Analogue Efex Pro, includes 18 presets. Remember that with these kind of presets it’s always advised to run them on a separate layer and mask out areas in skin etc. Some great BW conversions ranging from over the top edgy to subtle film looks and FilmNoir and portrait versions. A great way to start your own collection or just use them as they are.